Home > News > What Can Krispy Kreme Tell us About the Customer Experience at the Point of Sale? If you would like the short answer, then that would be “a lot”. 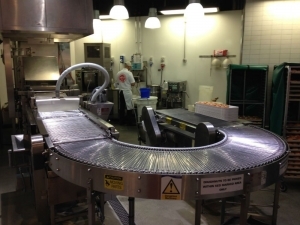 Currently, we have a number of projects in progress with Krispy Kreme where they are our customer. But this blog post is more of a discovery of being one of their customers. I was dragged out for a bit of Christmas shopping by my wife and we arrived far too early at the Birmingham Bull Ring. What does one do in a shopping centre where all the shops are closed apart from meander aimlessly in a humongous space? This is when I came face to face with a Krispy Kreme Doughnut Theatre. With the security guards preventing early access to the food hall, I could only but imagine what I was going to find. I was intrigued. When the time came, the theatre revealed a doughnut machine in all its shining and gleaming splendour. My first experience of a doughnut machine was on a corporate trouble shooting course run by Kepner and Tregoe, the people who took some of NASA’s methodologies and made them accessible to the business world. A virtual doughnut machine was used for teaching because of its accessibility in terms of the various process stages and that you can visualise simply, from a theoretical perspective, all the areas where you might have problems. Once you have the doughnut machine inside your head you can then proceed to conduct theoretical trouble shooting. In short, the doughnut machine is a great teaching tool. 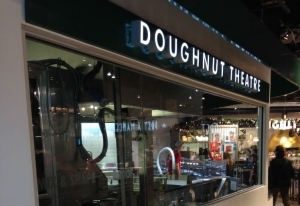 The Krispy Kreme theatre capitalises on the unique nature of the doughnut machine to bring its customers to the heart of its operations and products. You get to see the machine in operation and to smell the doughnuts being made before you reach the counter to make your choice and pay. In fact, if the queue is long, you don’t mind waiting as you are too busy wondering at the marvelous process. All the while, the smells and visual cues are building up the anticipation. Who wouldn’t be ready to buy? If there is such a thing as a doughnut purchase abandon rate the team at Krispy Kreme must have gotten this down to almost zero! Authentic. The “kimono is fully open” – there is nowhere to hide and ultimately, I will trust the brand because I can actually see how my food is being prepared. Krispy Kreme is massively confident. What if the machine breaks down in a very visible and public way? Well they know this, but are more than happy to take the risk to allow me to connect with them on many levels. The brand story and the brand experience are neatly woven together and are communicated every day, day after day, hour after hour and minute after minute. With this blog post, we simply wanted to share our experience and recognise the good work carried out by the team at Krispy Kreme. 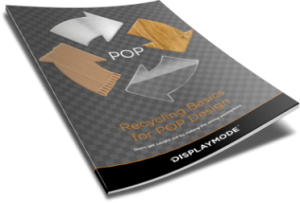 At Displaymode we can help you present your products and help tell your story at the point of purchase, this we do for many clients and well-known brands such as Krispy Kreme. Our team would be delighted to hear from you and of any up and coming projects.